Putting makes up a large percentage of our shots during a round. Spending a little time analyzing our putting with hard data can be a big help in scoring better. 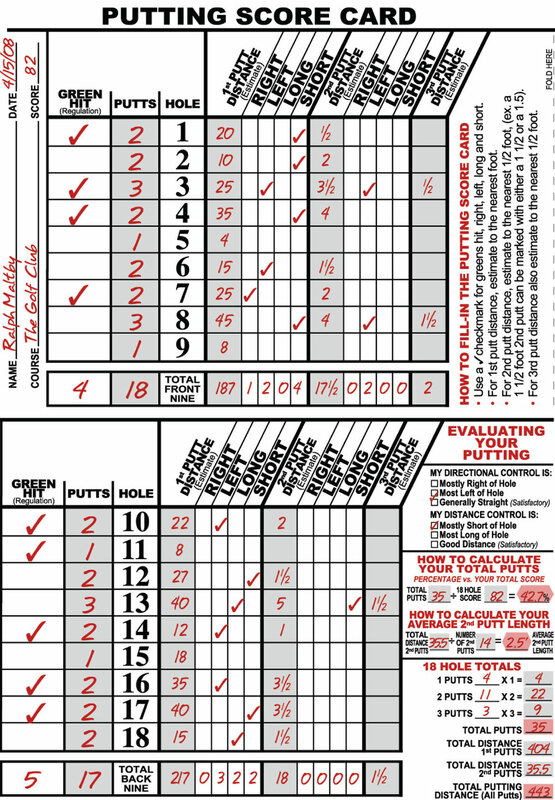 Every time the Putting Score Card is used it provides a personal benchmark for the golfer to compare one round of putting against another. This is one of its best features. Any golfer will be better off knowing the statistics on exactly how they putted during a round, but they also need to know how they “trending” from round to round. In other words, are they improving or getting worse and specifically in what areas. This makes it important to keep a series of Putting Score Cards and compare the results over time. 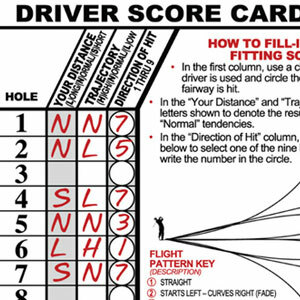 Of course, as you build your series of Putting Score Cards, you should be recognizing what they are currently telling you so that you can make any necessary adjustments. The adjustments will most always be in the areas of general set-up, posture, ball position, the stroke itself, the putter and its proper fit to you. You may also need additional practice time and/or a putting lesson to improve. 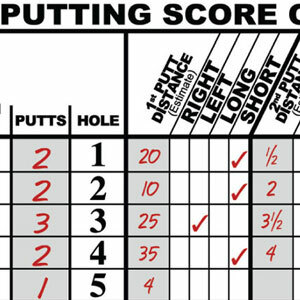 The best way to explain how to use the Putting Score Card is to actually look at the “filled-in” example round of golf and evaluate what the statistics are telling us. 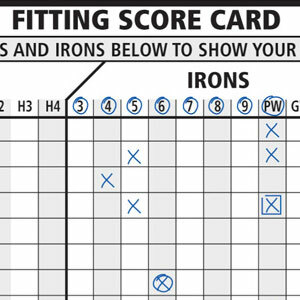 If you are playing a very familiar golf course, you may want to fill out the score card after the round of golf is over. If the course is less familiar, you will want to fill it out during the round. I added in the “Greens in Regulation Hit” column because this can have a dramatic effect on putting results for different types of golfers. It is for “reference only” when evaluating the score card and helps when you look back and compare putting rounds vs. your normal or abnormal amount of greens hit. Analyzing the score card is quite easy. 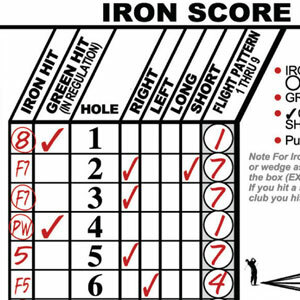 Simply follow the instructions on the front of the score card to fill out and then add up all the check marks, numbers and distances in each columns that applies and transfer the appropriate data to the “Evaluating Your Putting” area on the front of the score card. It’s all self explanatory from here with your goal being to better your statistics every time out and recognize that you will probably need to do something about any problem areas you have. Obviously we need to work toward eliminating 3 putts. We also need to keep our 2nd putt distance average below 2′ and preferably around 1 1/2 (18″). Putting makes up a large percentage of our shots during a round. Spending a little time analyzing our putting with hard data can be a big help in scoring better.